Lenders and creditors come in a range of types, from financial institutions to retailers to government agencies. The laws that apply to lenders and creditors vary with their type. Client has a complaint against a creditor and wants to know if there is someone or an agency that can help. Client wants to know if there are special laws governing the type of creditor they are dealing with. Client wants to know if a loan from a friend is as “legal” as a loan from a bank or credit union. Client is looking for guidance on which lending institution they should deal with. Client has a government debt (for example, a student loan) and wants to know what special rules may apply. Client wants to know if there are laws governing “loan sharks”. This section gives an overview of the main laws governing financial institutions and other creditors, and contains links to other useful sections of this publication. All institutional lenders are incorporated under and regulated by specific statutes; for example, the federal Bank Act governs banks and the provincial Credit Union Incorporation Act governs credit unions. For each of these statutes there is usually a government regulatory agency. These agencies protect the public interest by ensuring that businesses are run in an appropriate manner, but they do not usually resolve individual complaints or problems between a borrower and lender. Surprisingly, there is relatively little direct regulation of the interest rates creditors can charge. The most important provision is in the Canadian Criminal Code, in section 347, which sets an interest rate ceiling for all creditors at 60% per year, except as authorized under payday loan legislation. Up to that limit, creditors can generally set credit rates as they see fit. Most lenders such as banks, trust companies, and credit unions have relatively competitive rates. The interest charges for finance companies are generally higher, as are the interest rates charged by department stores and other merchants who grant credit on their own credit card systems. However, a variety of federal and provincial laws require lenders and retailers to disclose both how much interest they are charging and how those charges are calculated. These laws include the federal Interest Act, and Part 5 of the provincial Business Practices and Consumer Protection Act. Most creditors, including lending institutions and retailers, have fairly sophisticated credit agreements that consumers must accept as part of a credit transaction. These contracts, including promissory notes (enforceable promises to repay a debt or loan) and security agreements, are governed by both the common law of contracts and a range of federal and provincial statutes. It is important to understand, however, that a written agreement is not a requirement for all credit transactions. Credit arrangements with friends, for example, are usually as “legal” as those arranged with credit institutions, as long as there was a general intention that the agreement would be binding on the parties. Governments and government agencies can be creditors, just like any individual or corporation. However, government often has special powers that it can use to collect debts owed to it. While in most cases government agencies will not reduce the amount claimed from a debtor, they will often be open to negotiating with a person who is ready, willing and able to propose a payment plan. Here are a few examples of some of the special methods and rules that apply to governments. One common method is to deny the debtor certain privileges unless or until they make satisfactory arrangements to pay the debt. Under the Motor Vehicle Act, ICBC may take away or refuse to renew a driver’s licence if the person owes fines for motor vehicle-related offences, or money that ICBC has paid on their behalf in certain situations where the person has breached the terms of their insurance in some way, such as driving while impaired. This power is discretionary, and ICBC will generally be open to negotiating a payment plan. However, if ICBC denies or revokes a licence due to “motor vehicle indebtedness”, the debtor can appeal ICBC’s action to the Superintendent of Motor Vehicles within 30 business days. Under the Financial Administration Act, in section 83, if a person owes money to the provincial government and is also owed money by a third party, the government can serve a notice to require the third party to pay the amount owed directly to the government. This is similar to garnishment, but is much harsher on the debtor because the courts are not involved, there is no exemption for wages, and the debtor cannot make an application to the court under the Court Order Enforcement Act to request that the garnishment be set aside or to vary the amount taken. Although the debtor may still be able to challenge the government’s action, this would be far more difficult, and a lawyer should be consulted. The Family Maintenance Enforcement Program (FMEP) is one BC government agency that has special powers to collect debts under the Family Maintenance Enforcement Act and Regulations. A person who has a court order or filed separation agreement that requires a payor to pay them spousal or child support can register that order or agreement with FMEP, without charge, if the case has enough of a connection to BC. FMEP then enforces that order or agreement and forwards any payments collected to the person entitled to spousal or child support. FMEP’s powers include the ability to attach (take) wages and some government benefits such as Canada Pension Plan, WCB, and EI benefits. FMEP can also suspend a payor’s driver’s licence or passport in certain circumstances if payments are not up to date. The FMEP legislation sets out what rights debtors have to challenge actions taken by FMEP. For example, a debtor can apply to vary the amount of wages attached by FMEP if the payor can show what is needed to enable the payor to meet basic expenses, such as for housing and food. FMEP’s website has information about enforcement that advocates may find helpful. Note that FMEP does not have the power to change the amount of child or spousal support that someone owes. If a payor wants to change the amount of child or spousal support that they are legally required to pay, the payor must apply to vary the court order or agreement that FMEP is enforcing. Millions of dollars are lent for educational purposes under federal and provincial student loan programs. Although a student in BC who applies for both a Canada and BC student loan uses only one application form, the loans are repaid separately. Previously, the federal government and the financial institution that granted a student loan shared the risk in the event of default. On July 31, 2000, the risk-shared arrangement between the federal government and participating financial institutions came to an end. The government now directly finances all new loans that were issued on or after August 1, 2000. The administration of Canada Student Loans has become the responsibility of the National Student Loans Service Centre. Both the Canada and BC student loan programs have various interest relief, debt reduction, principal deferment, and loan revision provisions available to students who are finding it difficult to repay their loans. Note that a student loan will not be erased by a discharge from bankruptcy which is granted within seven years of a bankrupt’s completion of studies. However, a former student can make a special application to be discharged from their student loan after five years on the grounds of hardship. The Government of Canada website has information on student loans (which need to be paid back) as well as on student grants (which do not need to be paid back), and advice on repaying loans. “Loan shark” is the slang term for individuals or businesses that lend money at a very high rate of interest. This kind of lender usually sets harsh repayment terms and may resort to threats or actual harm to the borrower if payments are missed (see the section on Harassment by Debt Collectors). Even if payments are made as called for, the borrower may end up owing more than was borrowed because of the high interest charges, which are calculated on a monthly or even weekly basis. Police and media reports indicate that there is a considerable underground credit market from loan sharks. Section 347 of the Criminal Code makes it an offence for someone to lend money at an interest rate exceeding 60% per year (see the section on Interest and the Cost of Borrowing Money), except payday lenders licensed under provincial legislation. Mortgage brokers negotiate mortgages with lenders on behalf of borrowers and, in some cases, extend credit on the strength of mortgages on land that they then “sell” to a third party who receives the monthly payments from the borrower. Mortgage brokers must be licensed under the BC Mortgage Brokers Act, which is aimed specifically at brokering businesses. 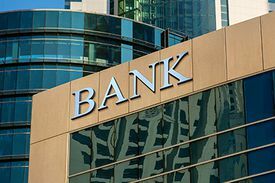 Most other financial institutions and individuals who might come within the scope of the Act are exempt from its licensing provisions, including all savings institutions, lawyers, government lending services, and court-appointed receivers and trustees. Aside from setting out licensing requirements, the Mortgage Brokers Act requires the disclosure of borrowing costs in cases where the broker-lender is charging a bonus or other brokering fee (see the section on Interest and the Cost of Borrowing Money). Clients should be cautious of obtaining credit through a brokering business. They should know that the cost of borrowing may be higher than from other credit sources. If a client already has a mortgage from a broker and is now having trouble meeting their obligation, the client should consult a lawyer on the various remedies available. Until April 2002, pawnbrokers were regulated by the province under the Pawnbrokers Act. Some aspects of the Personal Property Security Act (see the section on Security Agreements) also apply to pawn transactions. Currently, however, the most significant regulation of pawnbrokers is found in municipal bylaws, such as Vancouver’s Secondhand Dealers and Pawnbrokers By-law (No. 2807). A typical client problem with pawnbrokers is when the client cannot repay the amount of the loan, the interest, and the pawn fees to redeem their possession. In some cases, the effective rate of interest — because it includes pawn fees — exceeds the maximum rate of interest of 60% per year set by section 347 of the Criminal Code. Pawnbroking does not fall within the legal exemptions created by payday loan legislation. Certain finance companies make small, short-term, high-interest loans that go by a variety of names: payday loans, cash advance loans, post-dated cheque loans, etc. As of November 1, 2009, the Business Practices and Consumer Protection Act was amended to add a new part specifically to lay out the legislative framework dealing with payday loans. The details of this framework are discussed in the section on payday loans. Some businesses lend people money if the borrower assigns their income tax refund to the lender. The lender calculates the refund and pays the borrower part of the expected refund in cash. The lender then collects the entire refund at a later date. Because of some abuses by these businesses, the federal government passed a law regulating loans given in exchange for tax refunds. If the tax refund is less than $300, at least 85% of the refund. If the tax refund is more than $300, at least $255 plus 95% of the amount by which the refund is over $300. A separate fee cannot be charged for completing the tax return. If the lender receives more than the expected refund, the difference between the refund and what was calculated must be paid to the borrower. The lender must send the client a copy of the notice of assessment that Canada Revenue Agency sends with the refund. See also “How to Communicate with Creditors & Collection Agencies” from the Credit Counselling Society, the chapter “Creditors’ Remedies and Debtors’ Assistance” from the manual used by the UBC Law Students’ Legal Advice Program, and the People’s Law School pages on borrowing money. This page was last edited on 13 October 2018, at 09:22.